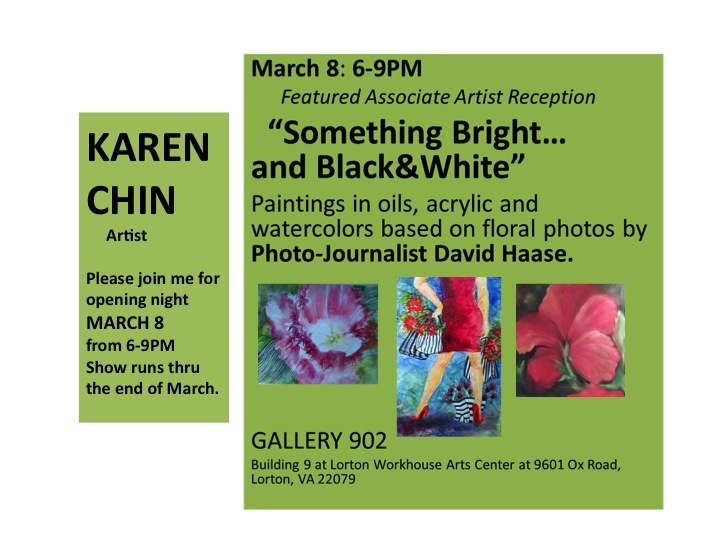 Local artist, Karen L. Chin, doing an exhibition based on Something Bright photos. Tnx, Karen. This entry was posted in Uncategorized and tagged flowers, SomethingBright. Bookmark the permalink.